Venture capitalists have valued direct-to-consumer telehealth business Ro at $500 million with an $85 million Series B financing, sources confirm to TechCrunch. The fresh round of funding comes seven months after Ro — widely known for its men’s health brand Roman, a cloud pharmacy for erectile dysfunction — made headlines with an $88 million Series A.
Ro didn’t immediately respond to a request for comment. The company’s outsized Series A, led by FirstMark Capital, was used to launch and scale its second digital health brand, “Zero,” a treatment plan meant to help men and women quit smoking. Zero sells a $129 kit complete with a month’s worth of prescription cessation medication Bupropion, nicotine gum and access to an app used to track progress. Its latest infusion of capital will likely be used in part to support its third personalized health brand, Rory, a purveyor of women’s health products the business unveiled last month. Targeting menopausal women, Rory offers six products treating four conditions — including prescription medication and supplements for hot flashes, over-the-counter treatments for insomnia, prescription vaginal estrogen cream and an all-natural water-based lubricant for vaginal dryness and Latisse, which helps grow eyelashes — which are available for purchase and direct-to-consumer delivery. When asked whether Ro was fundraising to bolster the new effort, Blank, a former investor at Ro-backer General Catalyst, declined to comment. 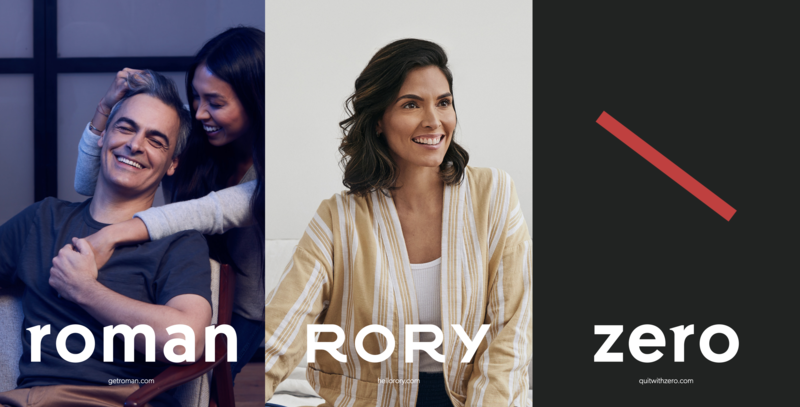 Curiously, a source with knowledge of Ro’s fundraising said there was no mention of the imminent launch of its women’s brand, Rory, in its pitch to VCs earlier this year. Ro was started by a trio of entrepreneurs: Rob Schutz, Saman Rahmanian and chief executive officer Zachariah Reitano in 2017. Reitano had previously co-founded a Y Combinator -backed startup called Shout, Rahmanian is a co-founder of the WeWork-acquired business Managed by Q, and Schutz worked as the vice president of growth for Bark&Co before building Ro. The startup initially launched under the name Roman, which became its flagship brand when the business adopted the umbrella name Ro last year. Roman offers men a $15 online doctor’s consultation, which, if they are an appropriate candidate, gives them access to an instant prescription for Viagra, Cialis or generic drugs that can be filled at Roman’s in-house cloud pharmacy. Ro has previously raised $91.1 million in venture capital funding, hitting a valuation of $154 million with its Series A, according to PitchBook. Its investors include Initialized Capital, Box Group and Slow Ventures, as well as angels like Y Combinator partner Aaron Harris, Benchmark’s Scott Belsky and the chief executives of Casper, Code Academy and Pill Pack. Founded just two years ago, Ro was amongst the first of a new cohort of men’s health businesses supported by VCs. Hims, one of the leading brands in the space, has similarly landed big rounds of capital from top-tier investors. Most recently, Hims brought in $100 million at a $1 billion valuation from an undisclosed growth-stage fund. Several other companies, including Numan, Manual and Thirty Madison, have raised capital to support men with hair loss treatments and ED medications delivered to discreetly their doorsteps, among other products.